A survey released in late October and conducted in August by The Sensis Business Index, a quarterly survey of 1000 small and medium businesses has found that before the federal leadership spill, business confidence was on the decline. It seems business confidence is still lacking, not only on the back of volatile economic markets, but also following political instability and a lack of conviction in Australia’s former political leaders. 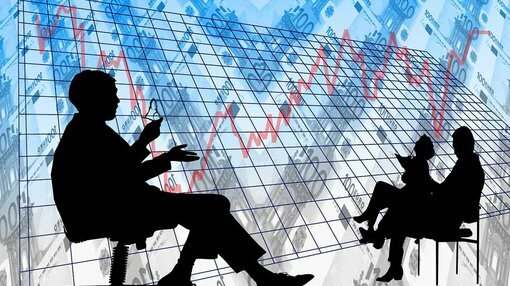 The alarming fact is that of the 1000 SMBs surveyed, concern about the economic environment had doubled from 7% to 14%. Mr Allan said 87 percent of businesses believe the economy is either slowing or standing still. With the survey taken not long before the change in Prime Minister, the Government saw its bump in confidence from the May Budget evaporate. Prime Minister Malcolm Turnbull has arrested the trend slightly but he has much work to do. Wholesale trade fell in confidence to become the least confident sector. This was driven by falling sales and unfavourable business conditions. It wasn’t all doom and gloom. Health and community services sectors gained confidence, just ahead of communications, property and business services. • Confidence declined in all locations except NSW, the ACT and Queensland. The highest confidence level is now in the ACT. • Opinions of the current state of the economy became more negative. Many more SMBs believe the economy is slowing (32%) rather than growing (13%). They are also more bearish about the health of the economy in 12 months’ time. • Last quarter, performance indicators were not flattering with sales flat overall and profitability down. • For the current quarter all indicators are expected to be positive on balance and improved for sales, profitability and wages. • Lack of work or sales continues to be cited spontaneously as the number one barrier to taking on staff followed by difficulty in finding suitable staff. • Among state and territory governments, only Tasmania saw an upward movement in SMB assessments. The Tasmanian Government is easily seen as the most supportive of SMBs in Australia with it and only the NSW and NT Governments rating positively overall (albeit lower than last survey). The SA Government continues to be the most poorly regarded by SMBs. This survey was taken before there was a change in Prime Minister from Tony Abbott to Malcolm Turnbull and it seems now that Prime Minister Turnbull is having a positive effect. According to the latest National Australia Bank survey, business confidence recorded a partial recovery. The Prime Minister must take some credit as he looks to steer Australia’s political and economic environments into surer waters, however he is being aided by the lower Australian dollar’s influence over non-mining sector recovery and by the RBA’s current monetary policy. The next 12 months holds some interesting challenges for Australian businesses, with more market disruption of established business models expected and China’s slowdown also having an impact. Prime Minister Turnbull’s performance before the 2016 election will be under the microscope, but going by the spate of recently released surveys including Sensis and NAB, businesses seem happier with the Turnbull government’s three month performance than they did with former PM’s two years in the big chair.